And we know that sometimes it’s hard to connect the dots between making a donation or giving your time, and seeing results! That’s why we’ve put together this short update – so that you can see the real impact your generosity is having on families right here in our communities. 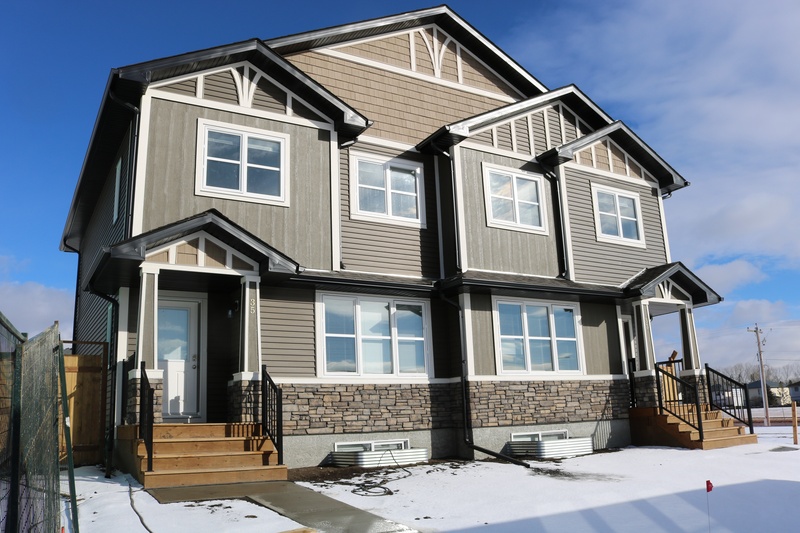 In 2015, we embarked on a three-phase development of 20 homes in the Calgary community of Bowness, including a six-plex, a four-plex, and two five-plexes. The six-plex was complete in 2017, and we recently celebrated the completion of the four-plex with a Home Dedication. Annette bought one of these homes in Bowness in February, and for her and her kids, Patrick (16) and Riley (10), home ownership has brought stability, security, and peace of mind to their lives. “Since we have moved here, I have lost 15 pounds, my older son no longer needs his inhaler and my younger son sleeps in his own room and not on the floor by me. Thank you from the bottom of our hearts for what you have done for us." The last phase of the development is two five-plexes on Bowwood Drive, which are well-underway and expected to be complete early next year. Fun fact: more than 19,000 volunteer hours have contributed to this build, and more than 90 Build Day teams have joined us on site since the project began, like our friends from TransCanada! In June, we broke ground on a duplex in Okotoks and it’s steadily nearing completion, with just a little bit of finishing work remaining. These homes have been made possible through generous partnerships with Anthem United, Morrison Homes and The Town of Okotoks, along with tremendous community support, including a small group dedicated local volunteers, both on and off the build site. Along with financial support, a number of volunteers took part in two community Build Days in September, where they did built fences an painted the interiors of the homes. They have made Okotoks their home, where Romano works as a food service supervisor and Avon as a receptionist at a local car dealership. The homes are expected to be complete later this year, with families taking occupancy in early 2019. 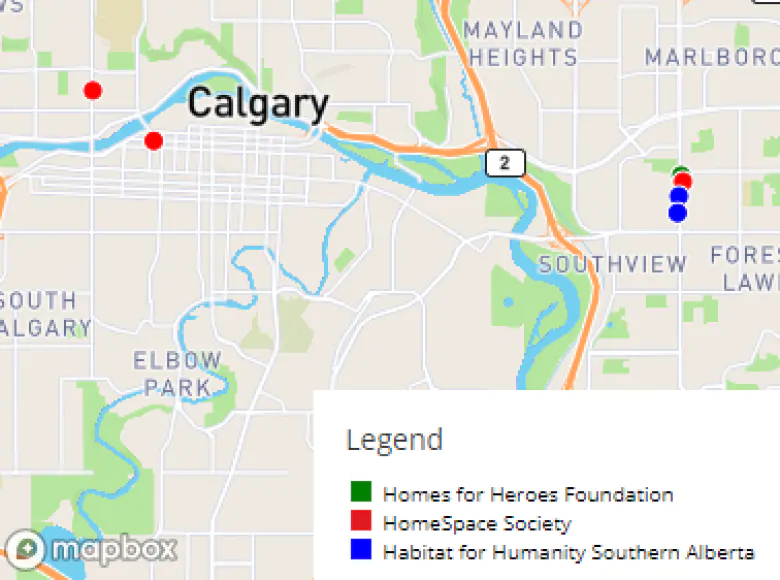 In March, The City of Calgary sold six pieces of land to local non-profits, with the goal of creating new affordable housing sites. The sites are located in Hillhurst, downtown, Forest Lawn and Radisson Heights, and together, they are expected to lead to 165 new affordable homes. 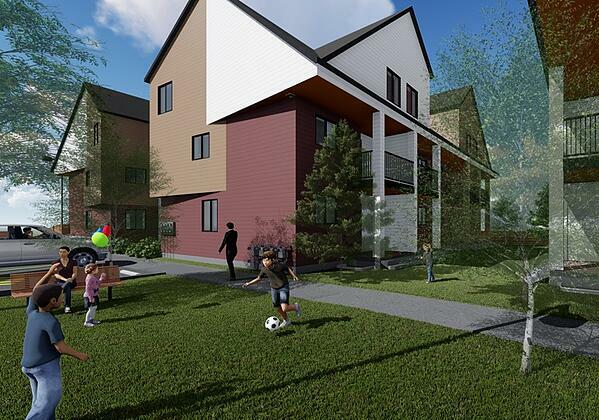 We were fortunate to be one of three non-profits selected, along with HomeSpace Society and the Homes for Heroes Foundation, to purchase two pieces of land in Albert Park/Radisson Heights. “The criteria for the land selections were financial ability, as well as experience in providing affordable housing,” said Sarah Woodgate, director of Calgary Housing and president of the Calgary Housing Company. Our development plans for these sites include two duplexes starting early next year, with two fourplexes following shortly after. Four families have already been approved to buy these homes once they’re complete and have begun working on their mandatory volunteer hours. On November 30, we will be officially launching our biggest build in our 28-year history, with a 32-unit townhome development in Silver Springs. This project has been aided by generous legacy gifts from the Calgary Foundation and the CREB® Charitable Foundation totaling $2.5 M, along with numerous other contributions from ATB, the Roman Catholic Diocese of Calgary, Hockey Helps the Homeless, and the Interfaith Build Project to date. Silver Springs is a perfect community for families, with several recreational facilities and resources, including two skating rinks and an outdoor pool. With the addition of 32 families, up to 100 kids will call this community their new home, bolstering local schools and taking advantage of all the amenities the established area has to offer. David and Myriam (pictured below) are the first family to be approved to buy a home in this development. They are parents to Santhiago (18) and Tathiana (16), and they both work with individuals with special needs – David, with an organization that provides accompaniment to adults, and Myriam, in a preschool. 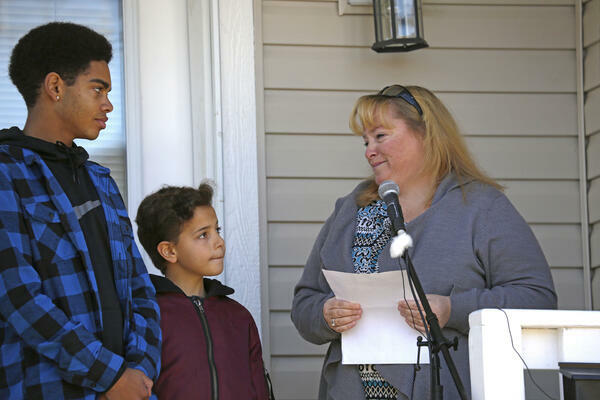 For years, the possibility of owning their own home felt like it was getting smaller and smaller, and they are so grateful that Habitat for Humanity was put in their path. 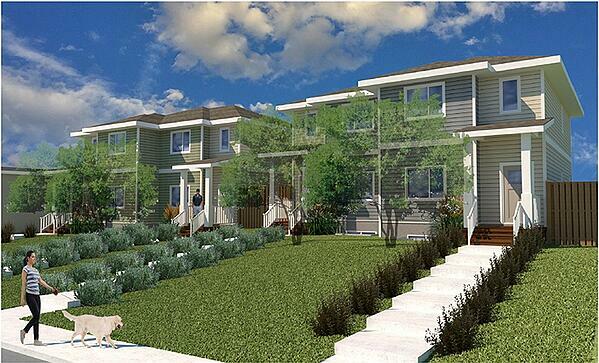 These townhomes will be constructed in phases, with site preparation and servicing already underway, and construction on the first building to begin early next year. The entire development is slated for completion at the end of 2021. Looking ahead to next year, we’ll be breaking ground in Pincher Creek for the very first time, and starting another duplex in the Medicine Hat community of Southlands. And if you’re saying to yourself, “What can I do to help?” here are just a few ways! You can do a Build Day with your colleagues, volunteer at Sugarplum Lane this December, or make your year-end donation to the Every Kid Campaign.